10 Local Pizza Places in Kentucky that you have to try! I don't know about your piece of Kentucky, but in the Louisville Area pizza places are taking over! We have every style of pizza known to man, I decided to go on a quest, for the best local pizza places in Kentucky. 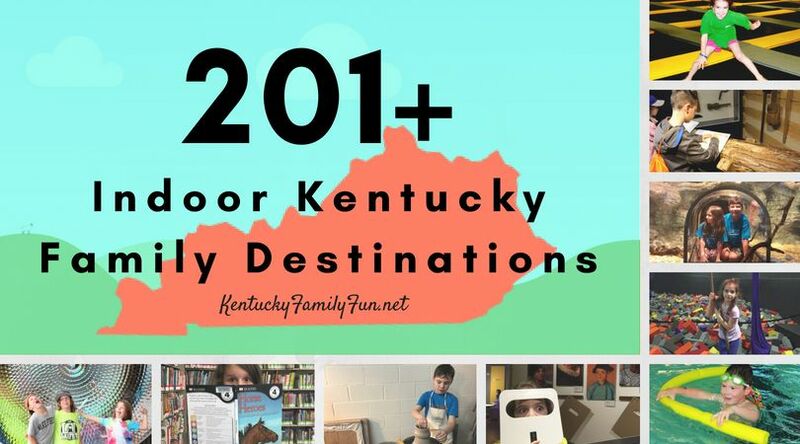 Without further ado, I present to you Kentucky Family Fun's Top 10 Local Pizza Places in Kentucky! 1. Miguel's - There is something about hiking at the Red River Gorge all day and coming up upon Miguel's that makes that pizza taste so awesome! 2. Smashing Tomato Pizza- They cook their pizza's in a wood burning oven that is heated to 800 degrees. Even more impressive is that Smashing Tomato is Kentucky’s only Neapolitan Pizza Restaurant certified by the Vera Pizza Napoletana. 3. Clifton's Pizza- Their pizza and calzones are out of this world. They are in a little hole in the wall restaurant in the Clifton neighborhood of Louisville. 4. Mister B's Pizza - Located in Henderson, they have been locally owned and operated for over 20 years. That's gotta be some great pie! 5. Mancino's Grinders & Pizza - They have some amazing pizza in Bowling Green at Mancinos. Located in my college town, it is strategically positioned next to a Baskin Robbins. Can you say Freshman....30? 6. Newport Pizza Company - Located in Newport, just across the river from Cincinnati they took their signature pie to a whole new level. With Cincinnati Chili topped pizza, as their signature pizza. Let me know if you give it a try. 7. Apollo Pizza - They make the dough in house on a daily basis, and boast an 'almost gluten free' pizza. I am not entirely sure what that means but let me know if you figure it out! 8. Papleno's Restaurant - Reviewers on Yelp say that there pizza was nothing short of amazing and if you go there and don't order a pizza you have wasted a trip. They are located in Corbin. 9. Giuseppe's Neighborhood Pizzeria - Situated in Covington they are an award winning pizza company. Their menu is pretty creative, as well. It might just be worth the trip. 10. Giovanni's Pizza- If you are ever in the Paris (Kentucky of course) area stop into Giovanni's Pizza for one of their famous pies.